If you’re an American and you’re planning on living until you’re 65 then this election is very important to you. For the eternal optimists among us retirement is something far off into the future that we don’t consider daily but as sure as birthdays add up retirement is coming and with retirement comes healthcare needs. Coverage for doctor visits, hospital stays, prescription drugs, medical devices, and therapy is not cheap. In 2010 The Center for Medicare and Medicaid Services estimated it costs the government $11,743 per enrollee for annual coverage in Medicare. That covers Jazzy scooters, home health aides, and enough prescription drugs to fill a fisherman’s tackle box for all of America’s retired population. Currently Medicare is funded by the tax payers who aren’t retired yet. Tax payers pay into the system until they retire then when they retire the younger tax payers pay for the Senior’s coverage. Taxpayers pay a whopping 1.45% of their income toward Medicare that their employers match dollar for dollar. That should be spelled out to dispel any notion of a typo – Medicare is taxed at one point four five percent of income. For retirees Medicare is not a free ride. Currently there are monthly premiums for Doctor and prescription drug coverage but overall retired citizens are very happy with their Medicare and the system as whole. As a matter of fact they are happier with their healthcare coverage than people with employer based insurance. It’s a good deal. Pay a measly 1.45% of your income during your working years and retire secure with great insurance you are most definitely going to need. But there’s an onion – Medicare is going broke. But Medicare has always been going broke. According to Patricia A Davis of the prestigious Congressional Research Service the current solvency projection of Medicare extends until 2024 which is in line with the average insolvency projections of 11.8 years historically. This isn’t Medicare’s first rodeo with solvency. Just like any other health insurance coverage, public or private, if changes aren’t made the solvency outlook deteriorates. Healthcare companies raise premiums and change copayments as needed to stay solvent but not Medicare. Medicare slogs along like a dinosaur and this static notion of Medicare as not being adaptable leaves it open to the unfounded hysteria of inevitable extinction. Medicare is perceived as a lumbering dinosaur slogging its way off of a cliff because our government mismanages it. Paul Ryan, now the Republican Vice Presidential nominee, is the latest opportunist to pull the proverbial fire alarm. Mr. Ryan came up with a plan to “fix” Medicare in 2010 as part of his budget entitled The Path to Prosperity. Nice name. Ryan didn’t want to fix Medicare like they do in the private sector or like as was done under Ronald Reagan’s Presidency; Ryan decided the best course of action is to hand over – the most popular and successful government program ever – to the private sector. His current boss, Mitt Romney, said he would sign Ryan’s plan into law if he became the President. The Path to Prosperity has already passed through The House of Representatives and would surely be passed through budget reconciliation if Republicans get the majority after this election then it would be on Mr. Romney’s desk for his guaranteed signature by Spring 2013. For a man who claims to be an “actuary wonk”, Ryan’s numbers get scary – very scary – if you plan on retiring. Under Ryan’s Plan ten years from now Medicare turns into “Vouchercare”, a system that issues American retirees coupons they can use toward the purchase of health coverage that’s similar to employer based coverage. The out of pocket costs for senior citizens would sky rocket according to the Congressional Budget Office. In 2012 the current out of pocket expense for seniors is 25% with traditional Medicare under Ryan’s “Vouchercare” the cost for seniors would rise to 68% or roughly $6,200 per year. That should be spelled out – six thousand two hundred dollars per year senior citizens would have to pay out of pocket under Ryan’s plan. Ryan’s Medicare plan puts an unconscionable extra $400 per month expense on all retried American citizens – If you’re under the age of 55 today that means YOU and if you’re over the age of 55 today that means your children and grandchildren. And there are unknowns with Ryan’s plan too. It’s not clear what happens to the Seniors who will not be able to afford the extra premium. Do the indigent seniors get dropped from their coverage or do they get forced into bankruptcy, nobody knows. Then there’s the question of what will be the minimum standard of coverage if Medicare gets handed over the insurance companies? What will be covered and what won’t be covered? What about Doctor and Hospital choice? Currently Medicare is accepted by most Doctors and Hospitals. Can a 93 year old navigate an HMO effectively? There are many things that can be done rather than handing over Medicare to the insurance industry. Taxes can be raised 0.5%, the retirement age can be increased, coinsurances and deductibles can be raised, fraud, waste and abuse can be cracked down on. The practical options are almost endless. What shouldn’t be an option is giving seniors a voucher and wishing them good luck during what should be their best years of life. President Obama’s Campaign of attacks on Mitt Romney this summer took a toll. Going into August the Romney Campaign found itself on their heels from the relentless attacks coming from the left and of course a “gimme” goodwill foreign policy trip that turned into a gaffe filled comedy tour. Romney returning stateside found Harry Reid ratcheting up the tax attack, UK newspapers calling him “Mitt the Twit”, and a Bain pain that would not go away. With President Obama leading a government running trillion dollar deficits, presiding over an anemic economy growing at a measly 1.5% and a stubborn unemployment problem that will not go below 8%. Mitt Romney probably envisioned tickertape parades for him by November. But that dream was fading fast. Romney found himself answering attacks rather than narrating the attacks, the polls were saying that America doesn’t like him, and he was in danger of falling too far behind to ever catch up to Obama. So what to do if you’re the Republican nominee going against Barack Obama? Get “Maverickey” of course. Enter Paul Ryan, a congressional “young gun” who can articulate himself as well as President Obama and better than Mitt Romney. Choosing Ryan as his Vice Presidential running mate Mitt Romney excited both Democrats and Republicans. Republicans felt a sense of relief that one of their own was on the ticket and Democrats were glad to have a sharp contrast that will distract voters away from the economy. Romney was never truly trusted by the right because of his left leaning days as Governor of Massachusetts. He was attacked vigorously by his fellow Republicans in the primary election and still presents the scars to show it. The Realclearpolitics average of polls has Romney losing to Obama 47.7% to 43.7% and Romney’s unfavorable rating of 45.4% is higher than his favorable rating of 42.9%. 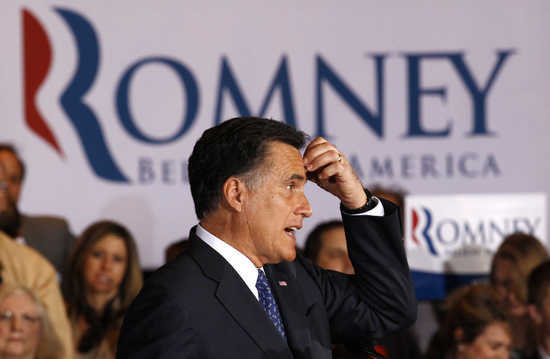 Simply put – Mitt Romney is not getting enough Republican support. Paul Ryan solves the Republican support problem, for now. The immediate difference was noticeable on the campaign trail with Ryan on the ticket. The crowds got bigger and were more enthusiastic, even Mitt Romney was more enthusiastic. At a Wisconsin campaign rally ten thousand people showed up and Romney laid out a five point plan to restarting the economy while eviscerating Obama at the same time. The Republican base is rallying with Ryan on the ticket. Rachel Maddow quipped on a Sunday talk show, effectively, now that Ryan was on the ticket with Romney the democrats could spend the rest of the campaign season drinking margaritas because Ryan’s Budget takes the focus of the election off the economy and onto an extreme Republican agenda. If you want to get Democrats riled up threaten Medicare or Social Security. The cartoons circulating facebook show Paul Ryan pushing old ladies in wheelchairs down the steps of Capital Hill and the Obama campaign released a ready to go internet ad tying Romney to the Ryan Budget. Today at Ryan’s first solo event on the ticket he was welcomed by left wing hecklers shouting “stop the war on the middle class.” To Democrats Paul Ryan’s a bad guy they love to hate. Democrats are happy and Republicans are happy, it seems like everybody is a winner with Paul Ryan on the ticket except, maybe, Mitt Romney. Romney may have made the fatal mistake of picking a guy that outshines him but that’s the price you pay for being dull and falling behind. At the very least there has been a respite from the tax attacks, the gaffe-fest foreign policy trip, and the Bain attacks of the summer that had Romney slumping. He is now actually able to get an offensive message out and that is a good thing. But if this so-called “America’s Comeback Team” goes the wrong way Romney could have a rogue running mate on his hands a la John McCain and that didn’t end well for Republicans last time. According to The Associated Press Mitt Romney is ready to roll the dice and name Paul Ryan has his VP pick today at 9am in Norfolk, Virginia. Ryan is a 42 year old career congressman who has represented Wisconsin’s first district for 6 terms and is currently considered the conservative fiscal whiz kid. Ryan, a republican, chairs the House Budget Committee and also sits on the ways and means committee. As far as money men go, Paul Ryan is it. The pick of Ryan is a considerably bold choice by Romney because of his unconventional budget entitled, “The Path to Prosperity.” Romney has fully embraced the Ryan budget that Newt Gingrich famously called, “Right-wing social engineering.” This budget is rife with policies that go well beyond the normal bean counting people associate with budgets as it seeks to make fundamental changes in the so-called social contract of America. The first cries from the left will undoubtedly be about the changes Ryan wishes to make to the government health insurance for retired Americans known as Medicare. Ryan has claimed that his budget doesn’t seek end Medicare as we know it but the changes are undeniable. Under the new guidelines of the Ryan Budget Medicare will still cover healthcare services for American Senior Citizens but with a few catches. Ryan envisions the government issuing coupons that Seniors will use toward the purchase of their health coverage and any additional costs for coverage will come out of pocket for senior citizens. In a complicated twist to this years version of the Ryan Plan a Senior Citizen can keep traditional medicare but any additional cost over 0.5% of the plan would have to be paid for by the subscriber. Bottom line – Out of Pocket expenses for Seniors will become more expensive. Then there’s the Ryan Budget’s promise of broadening the tax base to reduce tax rates. Broadening the tax base is a simple idea, get more people to pay taxes and lower the rates. But like with the proposed medicare changes there’s some catches. When the bipartisan Tax Policy Center looked at Ryan’s Budget they found it came up $4.6 trillion short of the current Bush tax rates over ten years. Unless Ryan addresses eliminating or reducing many deductions and credits within the tax code many middle class tax payers enjoy like the child tax credit and mortgage interest deduction the plan comes up about $6.2 trillion short of the 18% revenue of GDP the government has traditionally raised. The Ryan Tax Plan leaves a big hole and if the base isn’t broadened it will be an even larger hole. The Path to Prosperity will be as front and center as Romney and Ryan will be from now until November. It carries with it a serious choice for the American voter and the contrast now between Mitt Romney and Barack Obama has never been more stark. To embrace the Romney/Ryan ticket is to embrace the Ryan Budget and its fundamental changes in much of the American social contract. Each voter now has a choice of whether the Romney/Ryan ticket will be a path to Prosperity or a Road Map to Ruin.